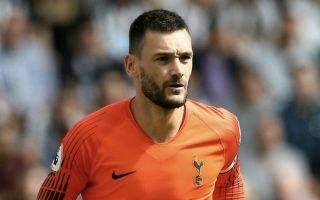 Tottenham and France number goalkeeper Hugo Lloris has spoken out after his drink driving charge last month, stating that he ‘made a mistake’. The 31-year-old has enjoyed a stellar year on a professional level, helping Spurs to finish 3rd in the Premier League back in May before becoming a World Cup winner with his country in Russia this summer. Lloris moved to North London from Lyon in Ligue 1 six years ago and he has managed to make over 250 appearances for the Lily Whites since then, emerging as one of the finest goalkeepers in English football. However, his reputation suffered a blow in August when after a night out with French teammates Olivier Giroud and Laurent Koscielny, the veteran ‘keeper was stopped by police and charged with driving under the influence of alcohol – as per ESPN. According to RMC Sport, Lloris has come out to defend his character on Tuesday with his court appearance for the incident scheduled for tomorrow, as he told reporters: “Just like every man, I have a private life. I made a mistake. I have to accept it. Spurs supporters will be hoping that the club’s number one can manage to put the whole issue behind him as the Premier League season continues, with Mauricio Pochettino’s men currently fighting for supremacy at the top of the table having amassed 9 points out of a possible 12 so far. Impressive wins against Newcastle United, Fulham and Manchester United were followed up more recently with a defeat away to high-flying Watford, but Tottenham remain genuine contenders for the title given the plethora of talented players at the club, including their World Cup winner between the sticks.